Sydney C. Karnovsky, BA; Andrew J. Rosenbaum, MD; Bridget DeSandis, BA; Christopher Johnson, MD; Conor I. Murphy, MD; Russel F. Warren, MD; Samuel A. Taylor, MD; Mark C. Drakos, MD. Foot and Ankle International. Surgical Treatment for Stenosing Peroneal Tenosynovitis. Geoffrey I. Watson, MD; Sydney C. Karnovsky, BA; David S. Levine, MD; Mark C. Drakos, MD. Foot and Ankle International. Taylor N. Cabe, BA; Kaitlyn A. Rodriguez, BA; Mark C. Drakos, MD. Techniques in Foot and Ankle Surgery. Pieter D’Hooghe, MD, MSc, MBA; Christopher D. Murawski, MD; Lorraine A.T. Boakye, MD; David O. Osei-Hwedieh, PhD; Mark C. Drakos, MD; Jay Hertel, PhD, ATC; Keun Bae Lee, MD, PhD; Adam Popchak, DPT, PhD, SCS; Martin Wiewiorski, MD; C. Niek van Dijk, MD, PhD; the International Consensus Group on Cartilage Repair of the Ankle. Foot and Ankle International. Ankle Arthroscopy for Full-thickness Talar Cartilage Lesions in the Setting of Acute Ankle Fractures. Rachael J. Da Cunha, MD; Sydney C. Karnovsky, BA; William Schairer, MD; Mark C. Drakos, MD. Arthroscopy. Tibialis Anterior Reconstruction with Hamstring Autograft Using a Minimally Invasive Approach. Sydney C. Karnovsky, BA; Bridget DeSandis, BA; Andrea Tychanski Papson, PT; Quinn O’Malley; Martin O’Malley, MD; Taylor N. Cabe, BA; Mark C. Drakos, MD. Foot and Ankle International. Comparison of Juvenile Allogenous Articular Cartilage and Bone Marrow Aspirate Concentrate Versus Microfracture With and Without Bone Marrow Aspirate Concentrate in Arthroscopic Treatment of Talar Osteochondral Lesion. Sydney C. Karnovsky, BA; Bridget DeSandis, BA; AM. Haleem; Carolyn M. Sofka, MD; Martin O’Malley, MD; Mark C. Drakos, MD. Foot and Ankle International. Syndesmotic Injury Assessment with Lateral Imaging During Stress Testing in a Cadaveric Model. Jeremy M. Lamothe, MD; Josh R. Baxter, MD; Sydney C. Karnovsky, BA; Conor I. Murphy, MD; S. Gilbert, MD; and Mark C. Drakos, MD. Foot and Ankle International. Hamstring Autograft Reconstruction of the Anterior Tibial Tendon. Sydney C. Karnovsky, BA; Mark C. Drakos, MD. Techniques in Foot & Ankle Surgery. Hamstring Reconstruction for Chronic Achilles Pathology. Sydney C. Karnovksy, BA; Mark C. Drakos, MD. Techniques in Foot & Ankle Surgery. Reconstruction of Chronic Ankle Instability with Hamstring Autograft. Sydney C. Karnovsky, BA; Taylor N. Cabe, BA; Mark C. Drakos, MD. Techniques in Foot & Ankle Surgery. Arthroscopic Treatment of Osteochondral Lesions of the Talus Using Juvenile Articular Cartilage Allograft and Autologous Bone Marrow Aspirate Concentration. Bridget A. DeSandis, BA; AM. Haleem; Carolyn M. Sofka, MD; Martin J. O’Malley, MD; Mark C. Drakos, MD. Journal Foot and Ankle Surgery. Hamstring Autograft for Foot and Ankle Applications. Elizabeth A. Cody, MD; Sydney C. Karnovsky, BA; Bridget DeSandis, BA; Andrea Tychanski Papson, PT; Johnathan T. Deland, MD; Mark C. Drakos, MD. Foot and Ankle International. Pain Management After Outpatient Foot and Ankle Surgery. Akash Gupta, MD; Kanupriya Kumar, MD; Matthew M. Roberts, MD; Austin E Sanders, BA; Mackenzie T. Jones, BA; David S. Levine, MD; Martin J. O’Malley, MD; Mark C. Drakos, MD; Andrew J. Elliott, MD; Jonathan T. Deland, MD; Scott J. Ellis, MD. Foot and Ankle International. Distraction Osteogenesis and Fusion for Failed First Metatarsophalangeal Joint Replacement: Case Series. Rachael J. DaCunha, MD; Sydney C. Karnovsky, BA; Austin T. Fragomen, MD; Mark C. Drakos, MD. Foot and Ankle International. Revision Achilles Reconstruction with Hamstring Autograft and FHL Tendon Transfer in an Athlete. 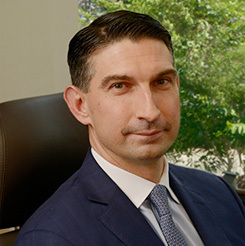 Sydney C. Karnovsky, BA; Mark C. Drakos, MD. Hospital for Special Surgery Journal. Therapeutic Effects of Doxycycline on the Quality of Repaired and Unrepaired Achilles Tendons. Quynhhoa T. Nguyen, PhD; Jolanta B. Norelli, BA; Adam Graver, MD; Charles Ekstein, MD; Johnathan Schwartz, MS; Farzana Chowdhury, BS; Mark C. Drakos, MD; Daniel A. Grande, PhD; Nadeen O. Chahine. American Journal of Sports Medicine. Optimal Starting Point for Fifth Metatarsal Zone II Fractures: A Cadaveric Study. Geoffrey I. Watson; Sydney C. Karnovsky, AB; Gabrielle Konin, MD; Mark C. Drakos, MD. Foot and Ankle International. Biomechanical Analysis of Suture Anchor vs Tenodesis Screw for FHL Transfer. Mark C. Drakos, MD; Michael Gott, MD; Sydney C. Karnovsky, AB; Conor I. Murphy, MD; Bridget A. DeSandis, BA; Noah Chinitz; Daniel Grande, PhD; Nadeen Chahine. Foot and Ankle International. The Disappearing Phalanx: A Case Report of a Vascular Tumor of the Toe. Bridget DeSandis, BA; Sydney C. Karnovsky, AB; Giorgio Perino, Mark C. Drakos, MD. The Journal of Foot and Ankle Surgery: Official Publication of the American College of Foot and Ankle Surgeons. Jeremy M. LaMothe, MD, PhD; Josh R. Baxter, PhD; Sarah Gilbert, BA; Conor Murphy, MD; Sydney C. Karnovsky , AB; Mark C. Drakos, MD. Foot & Ankle International. Operative Treatment of Lateral Ligament Instability. Rachel J. Shakked, MD; Sydney C. Karnovsky , AB; Mark C. Drakos, MD. Current Reviews in Musculoskeletal Medicine. Simvastatin Exposure and Rotator Cuff Repair in a Rat Model. Matthew E. Deren, BA, Jonathan R. Ehteshami, MD, Josh S. Dines, MD; Mark C. Drakos, MD; Stephen B. Behrens, MD; Stephen Doty, PhD; Struan H. Coleman, MD. Orthopedics. Three-Dimensional Analysis of Fibular Motion After Fixation of Syndesmotic Injuries With a Screw or Suture-Button Construct. Jeremy M. LaMothe, MD, PhD; Josh R. Baxter, PhD; Conor Murphy, MD; Sarah Gilbert, BA; Bridget DeSandis, BA; Mark C. Drakos, MD. Foot & Ankle International. Elizabeth Cody, MD; Carol Mancuso; Aoife MacMahon, BA, A Marinescu; J Burket; Mark C. Drakos, MD; Matthew Roberts, MD; Scott J. Ellis. Foot & Ankle International. Multiplanar CT Analysis of Fifth Metatarsal Morphology: Implications for Operative Management of Zone II Fractures. Bridget DeSandis, BA; Conor Murphy, MD; Alexander Rosenbaum, MD; Matthew Levitsky, BA; Quinn O’Malley; Gabrielle Konin, MD; Mark C. Drakos, MD. Foot & Ankle International. Arthroscopically Assisted Open Reduction-Internal Fixation of Ankle Fractures: Significance of the Arthroscopic Ankle Drive-through Sign. William W. Schairer, MD; Benedict U. Nwachukwu, MD; David M. Dare, MD; Mark C. Drakos, MD. Arthroscopic Techniques. Return to Sports and Physical Activities After Primary Partial Arthrodesis for Lisfranc Injuries in Young Patients. Aoife MacMahon, BA; Paul Kim, MD; David Levine, MD; J Burket, BA; Matthew Roberts, MD; Mark C. Drakos, MD; Jonathan Deland, MD; Andrew Elliott, MD; Scott Ellis, MD. Foot & Ankle International. Particulated Juvenile Articular Cartilage Allograft Transplantation With Bone Marrow Aspirate Concentrate for the Treatment of Talus Osteochondral Defects. Mark C. Drakos, MD and Conor I. Murphy, BA. Techniques in Foot & Ankle Surgery. Plantar-Plate Disruptions: “The Severe Turf-Toe Injury.” Three Cases in Contact Athletes. Mark C. Drakos, MD; Russell Fiore, ATC; Conor Murphy, BA; Christopher W. DiGiovanni, MD. Journal of Athletic Training. Biologics in Achilles Tendon Healing and Repair: A Review. Evan Shapiro, MD; Daniel Grande, PhD; Mark C. Drakos, MD. Current Review Musculoskeletal Medicine. Midfoot Sprains in the National Football League. Daryl C. Osbahr, MD; Padraig F. O’Loughlin; Mark C. Drakos, MD; Ronnie P. Barnes, MA, ATC; John G. Kennedy, MD; Russell F. Warren, MD. American Journal of Orthopaedics. Mark Drakos, MD; Conor Murphy, BA. The Physician and Sports Medicine. Arthroscopic Repair of Bilateral Popliteomeniscal Fascicle Tears in a Professional Football Player. Mark Drakos, MD; Patrick Birmingham, MD, Ronnie P. Barnes, MA, ATC; Leigh Weiss, ATC; Conor Murphy, BA; Russell F. Warren, MD. Current Orthopedic Practice. Biomechanical Comparison of an Open vs Arthroscopic Approach for Lateral Ankle Instability. Mark Drakos, MD; Steve B. Behrens, MD; Dave Paller, MS; Conor Murphy, BA; Christopher W. DiGiovanni, MD. Foot & Ankle International. Corticosteroid and Anesthetic Injections for Muscle Strains and Ligament Sprains in the NFL. Mark Drakos, MD; Patrick Birmingham, MD, Demetri Delos, MD; Ronnie P. Barnes, MA, ATC; Conor Murphy, BA, Leigh Weiss, ATC; Russell F. Warren, MD. HSS Journal. Enhancement of Achilles Tendon Repair Mediated by Matrix Metalloproteinase Inhibition via Systemic Administration of Doxycycline. Michael W. Kessler, MD; Jerome Barr, MD; Robert Greenwald, MD; Louis B. Lane, MD; Joshua S. Dines, MD; David M. Dines, MD; Mark C. Drakos, MD; Daniel A. Grande, PhD; Nadine O. Chahine, PhD. Journal of Orthopaedic Research. Syndesmosis and Lateral Ankle Sprains in the National Football League. Daryl C. Osbahr, MD; Mark C. Drakos, MD; Padraig F. O’Loughlin; Stephen Lyman, PhD; Ronnie P. Barnes, MA, ATC; John G. Kennedy, MD; Russell F. Warren, MD. Orthopaedics. Proximity of Arthroscopic Ankle Stabilization Procedures to Surrounding Structures: An Anatomic Study. Mark Drakos, MD; Steve B. Behrens, MD; Mary K. Mulcahey, MD; Dave Paller, MS; Eve Hoffman, BA; Christopher W. DiGiovanni, MD. Arthroscopy. Synthetic Playing Surfaces and Athlete Health. Mark C. Drakos, MD; Samuel A. Taylor, MD; Peter D. Fabricant, MD; Amgad M Haleem, MD. Journal of the American Academy of Orthopaedic Surgeons. The Arthroscopic “Subdeltoid Approach” to the Anterior Shoulder. Stephen J. O’Brien, MD; Samuel A. Taylor, MD, James R. Dipietro, MD; AM Newman, BA; Mark C. Drakos, MD; James E Voos, MD. Journal of Shoulder and Elbow Surgery. A Biomechanical Analysis of Brostrom Versus Brostrom-Gould Lateral Ankle Instability Repairs. Steve B. Behrens, MD; Mark Drakos, MD; Byung J. Lee, MD; Dave Paller, MS; Eve Hoffman, BA; Sarath Koruprolu, MS; Christopher W. DiGiovanni, MD. Foot & Ankle International. Are There Risks to Playing Soccer on Infilled Artificial Turf? Although lower leg injuries can occur in all athletes, there is evidence that deep cleats, such as those used by soccer players, may dramatically increased the likelihood of severe non-contact injuries such as ACL (anterior cruciate ligament) tears of the knee. A Review of Synthetic Playing Surfaces, the Shoe-Surface Interface, and Lower Extremity Injuries in Athletes. Samuel A. Taylor, MD; Peter D. Fabricant, MD; Michael M. Khair, MD; Amgad M. Haleem, MD; Mark C. Drakos, MD. The Physician and Sports Medicine. Popliteal Venotomy During Posterior Cruciate Ligament Reconstruction in the Setting of a Popliteal Artery Bypass Graft. Venu Nemani, MD; Frank RM; Keith R. Reinhardt, MD; Pascual-Garrido C, Yanke AB; Mark Drakos, MD; Russell F. Warren, MD. Arthroscopy. Epidural Steroid Injection for Lumbar Disc Herniation in NFL Athletes. Accuracy of Plain Radiographs Versus 3D Analysis of Ankle Stress Test. Eve Hoffman, BA; David Paller, MS; Sarath Koruprolu, MS; Mark Drakos, MD; Steve B. Behrens, MD; Joseph J. Crisco, PhD; Christopher W. DiGiovanni, MD. Foot & Ankle International. Lower Cervical Posterior Element Fractures in the National Football League: A Report of 2 Cases and a Review of the Literature. Mark C. Drakos, MD; Brian T. Feeley, MD; Ronnie P. Barnes, MA, ATC; Mark Muller, MD; T. Pepper Burruss, PT, ATC; Russell F. Warren, MD. Neurosurgery. Cadaver Legs Give New Insights Into Athletes’ Ligament Tears. Win the Sprain Game. Stephen Fried. Men’s Health. Injury in the National Basketball Association : A 17-Year Overview. Mark C. Drakos, MD; Benjamin Domb, MD; Chad Starkey, PhD, ATC; Lisa Callahan, MD; Answorth A. Allen, MD. Sports Health: A Multidisciplinary Approach. Effective Glenoid Version in Professional Baseball Players. Mark C. Drakos, MD; Joseph U. Barker, MD; Daryl C. Osbahr, MD; Scott Lehto, MD; Jonas R. Rudzki, MD; Hollis Potter, MD; Struan H. Coleman; PhD, MD, Answorth A. Allen, MD; David W. Altchek, MD. American Journal of Orthopaedics. Internal Impingement: A Review on a Common Cause of Shoulder Pain in Throwers. Steven Behrens, MD; Jeffrey Compas, BA; Matthew E. Deren, BA; Mark C. Drakos, MD. The Physician and Sports Medicine. Non-Operative Management of Complete Lateral Elbow Ligamentous Disruption in an NFL Player: A Case Report. Mark S. Muller, MD; Mark C. Drakos, MD; Brian Feeley, MD; Ronnie P. Barnes, MA, ATC; Russell F. Warren, MD. HSS Journal. Effect of Graft Selection on the Incidence of Postoperative Infection in Anterior Cruciate Ligament Reconstruction. Joseph U. Barker, MD; Mark C. Drakos, MD, Travis G. Maak, MD; Russell F. Warren, MD; Riley F. Williams III, MD; Answorth A. Allen, MD. American Journal of Sports Medicine. The Effect of the Shoe-Surface Interface in the Development of Anterior Cruciate Ligament Strain. Mark C. Drakos, MD, Howard Hillstrom, PhD, James E. Voos, MD, Anna N. Miller, MD, Andrew P. Kraszewski, MS, Thomas L. Wickiewicz, MD, Russell F. Warren, MD, Answorth A. Allen, MD; Stephen J. O’Brien, MD. Journal of Biomechanical Engineering. Less ACL Strain Found with Natural Grass Shoe-Surface Combination. Mark Drakos, MD. Athletes put less strain on their anterior cruciate ligament (ACL) while making a cut on a natural grass surface while wearing a cleat. A recent study by investigators from Hospital for Special Surgery shows that athletes making a cut on natural grass while wearing cleats may put less strain on their ACL. Athletes put less strain on their anterior cruciate ligament (ACL) while making a cut on a natural grass surface while wearing a cleat. This is the conclusion from a study that tested the strain placed on the ACL of four different shoe-surface interactions: Astroturf/turf shoe, modern playing turf/turf shoe, modern turf/cleat, and natural grass/cleat. Hamsting Injuries. Patrick Birmingham, MD, Mark Drakos, MD. The hamstrings are a group of three muscles located in the back of the thigh. They are the most common muscles injured in professional football and usually occur during the “push-off” phase of running. Internal Impingement of the Shoulder in the Overhead Athlete. Mark C. Drakos, MD; Jonas R. Rudzki, MD; Answorth A. Allen, MD; Hollis G. Potter, MD; David W. Altchek, MD. Journal of Bone and Joint Surgery. My Approach to Anterior Cruciate Ligament Injuries. Mark C. Drakos, MD; Russell F. Warren, MD. Orthopaedic Techniques in Sports Medicine. Discoid Meniscus, Iliotibial Band Syndrome. Answorth A. Allen, MD; Mark C. Drakos, BA. Pocket Sports Medicine. Software for PDA (Palm) Devices. Edited by David Drez, MD; Bernard Bach, MD. A Report of 3 Cases. Mark C. Drakos, MD; David Green, MD, Christopher C. Dodson, MD; Answorth A. Allen, MD; Russell F. Warren, MD. Orthopaedics. Artificial Turf: Does it Increase the Risk of Sports Injuries? An exploration of the effectiveness of cleats on artificial turf. Mark Drakos, MD. An exploration of the effectiveness of cleats on artificial turf, Artificial turf has been in use for over 40 years. The initial premise was to use nylon and other synthetic materials to create a surface which was simple to maintain and could be used for indoor stadiums. History has shown us that this noble goal is quite a challenge and a frequent subject of controversy. A Case Report. James E. Voos, MD; Mark C. Drakos, MD; Dean G. Lorich, MD; Stephen Fealy, MD. HSS Journal. Arthroscopic Transfer of the Long Head of the Biceps Tendon: Functional Outcome and Clinical Results. Mark C. Drakos, MD; Nikhil N. Verma, MD; Lawrence V. Gulotta, MD; Frank Potucek, BA; Samuel Taylor, BA; Stephen Fealy, MD; Ronald Selby, MD; Stephen J. O’Brien, MD. Arthroscopy. A Clinical Analysis of 50 Patients. Struan H. Coleman, MD, PhD; David B. Cohen, MD; Mark C. Drakos, MD; Answorth A. Allen, MD; Riley J. Williams, MD; Stephen J. O’Brien, MD; David W. Altchek, MD; Russell F. Warren, MD. American Journal of Sports Medicine. Biceps Transfer Utilizing SubDeltoid Arthroscopy. Stephen J. O’Brien, MD; James E. Voos, MD; Mark C. Drakos, MD; Samuel A. Taylor, BA. Arthroscopic SubDeltoid Approach to the Biceps Transfer. Stephen J. O’Brien, MD; Anna N. Miller, MD; Mark C. Drakos, MD. Orthopaedic Techniques in Sports Medicine. Outcomes of Isolated Type II SLAP Lesions Treated with Arthroscopic Fixation Using a Bioabsorbable Tack. David B. Cohen, MD; Struan H. Coleman, MD, PhD; Mark C. Drakos, MD; Answorth A. Allen, MD; Stephen J. O’Brien, MD; David W. Altchek, MD; Russell F. Warren, MD. Arthroscopy. Patterns of Vascular and Anatomical Response after Rotator Cuff Repair. Stephen Fealy, MD; Ronald S. Adler, MD, PhD; Mark C. Drakos, MD; Anne M. Kelly, MD; Answorth A. Allen, MD; Frank A. Cordasco, MD; Russell F. Warren, MD, Stephen J. O’Brien, MD. American Journal of Sports Medicine. Arthroscopic Transfer of the Long Head of the Biceps to the Conjoint Tendon. Nikhil N. Verma, MD; Mark Drakos, MD; Stephen J. O’Brien, MD, MBA. Arthroscopy. The Arthroscopic Active Compression Test. Arthroscopic Release of the Long Head of the Biceps Tendon: Functional Outcome and Clinical Results. Anne M. Kelly, MD; Mark C. Drakos, MD; Stephen Fealy, MD; Samuel Taylor, BA; Stephen J. O’Brien, MD. Biceps Tendon and Triceps Tendon Injuries. Armando F. Vidal, MD; Mark C. Drakos, MD; Answorth A. Allen, MD. Clinics in Sports Medicine. Arthroscopic Removal of an Osteoid Osteoma of the Shoulder. Two case reports. Anne M. Kelly, MD; Ronald M. Selby, MD; Erika Lumsden, MD; Stephen J. O’Brien, MD; Mark C. Drakos, BA. Arthroscopy. Arthroscopic Assisted Rotator Interval Closure. Stephen J. O’Brien, MD; Mark C. Drakos, BA; Answorth A. Allen, MD; Stephen Fealy, MD. Techniques in Shoulder and Elbow Surgery. The Joint Jack: A Report of a New Technique Essential for Elbow Arthroscopy. Ronald M. Selby, MD; Stephen J. O’Brien, MD; Anne M. Kelly, MD; Mark C. Drakos, BA. Arthroscopy. Technical Aspects for Repair and a Clinical Follow-up of Thirty-One Patients at a Minimum of Two Years. Stephen J. O’Brien, MD; Answorth A. Allen, MD; Struan H. Coleman, MD, PhD; Mark C. Drakos, BA. Arthroscopy. Partial Detachment of the Deltoid Muscle. A Case Report. Answorth A. Allen, MD; Mark C. Drakos, BA. American Journal of Sports Medicine. 10 Year Experience with Absorbable, Transfixing Implant and Future Directions. Stephen Fealy, MD; Mark C. Drakos, BA; Answorth A. Allen, MD; Russell F. Warren, MD. Clinical Orthopaedics and Related Research. Arthroscopic Instability Repairs: Are They As Good As Open? Answorth A. Allen, MD; Mark C. Drakos, BA. Current Opinion in Orthopaedics. Clinical Appearance and Treatment of Adhesive Capsulitis in Diabetes. John D. MacGillivray, MD; Mark C. Drakos, BA. Practical Diabetology.